UTS Biogas Ltd (UTS), is the UK arm of UTS Biogastechnik, a global provider of innovative biogas plants. 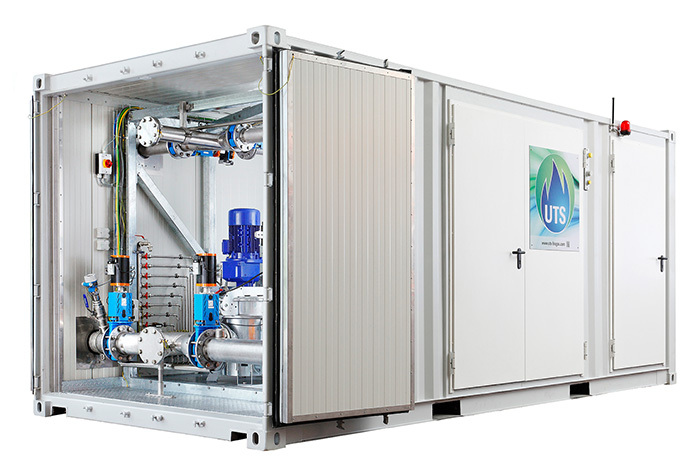 UTS will be unveiling its new “ProCon” containerised solution for Biogas Plants. UTS is currently constructing several ProCon projects in central Europe and has 5 such projects on its UK books, utilising a wide variety of crops and agricultural wastes. Time-saving, cost-effective and ‘high spec’ – the ProCon is a ‘plug and play’ containerized solution for projects up to 1 MW which encompasses the central pump room, MCC and PLC. The advantage of the container is obvious: there is a measurable reduction in construction time, a verifiable reduction of installation and construction costs and an assured quality standard because of factory acceptance tests. In terms of numbers the savings in assembly costs are around 50% compared to a fully kitted-out conventional building. Using a ProCon can save at least 25% of project construction time. The ProCon includes pumping and mixing technology, gas analysis system, desulfurisation, heat distribution, water distribution and system control. The individual components are modular. The performance limit of a container is around 1MW (3 tanks, slurry store and separation).